Kruger Products Away From Home Division (AFH) is a leader in the manufacturing and distribution of high quality, cost-effective product solutions for commercial and public spaces. Serving multiple market segments, such as accommodation, food service, property management and healthcare sectors, AFH has earned the trust and confidence of commercial customers and end-users alike. With such distinguished brands as Embassy® and White Swan®, AFH’s broad selection of paper products and dispensers have become the standard for innovation, performance and quality throughout North America. Looking to the future, AFH has recognized the opportunity to expand their product offerings through strategic growth and acquisitions. Competing at this level requires the commitment of everyone within the business and the trust of every customer. Although not the most glamorous of categories, very few brands can claim the high degree of touch that paper products have with end-users every day. For the commercial B2B buyer that is AFH’s customer, the value proposition varies from premium to basic, yet performance is the underlying constant. 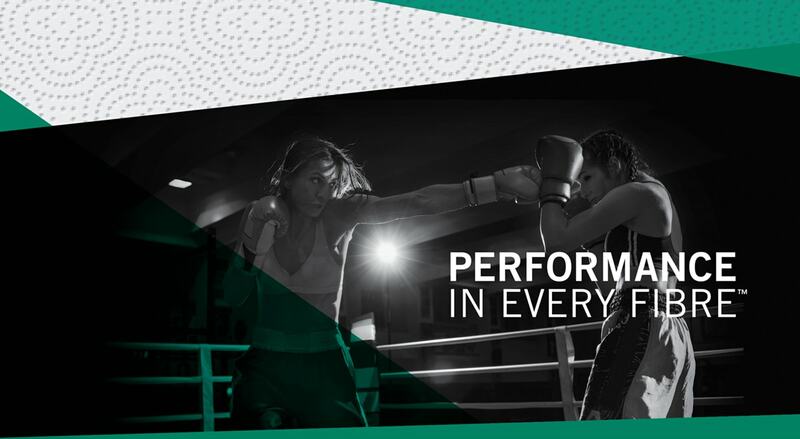 AFH was taken through an extensive Brand360 Discovery session and the brand group at Mindshape developed the “Performance in Every Fibre” positioning as both the internal and customer facing brand expression. Connecting every employee from the plant floor to executive leadership, Performance in Every Fibre captures the very essence of AFH’s core values and customer expectations. From sales and marketing to packaging and communications, Mindshape conducted a complete brand audit with supporting activation strategies to ensure consistency and continuity across all touch points. The result was transformational, moving from a corrugated B2B paper products provider to a brand image that is built on the promise that it delivers to it’s customers. The complete roll out included the design and development of a new online and web experience, packaging, sales and marketing material, along with media and customer communication programs. Today, AFH continues to be a leader in the paper products category with a commitment to being the brand of choice among customers who demand the very best Performance in Every Fibre.